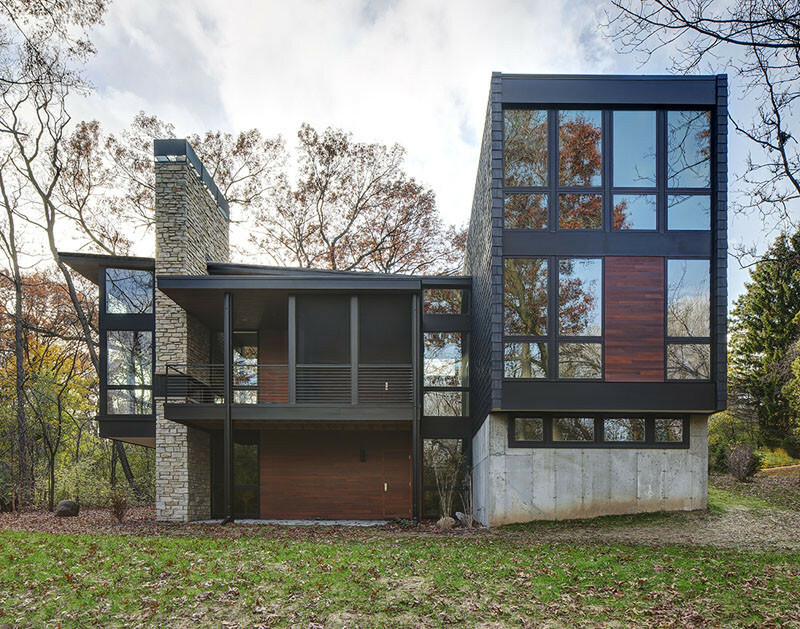 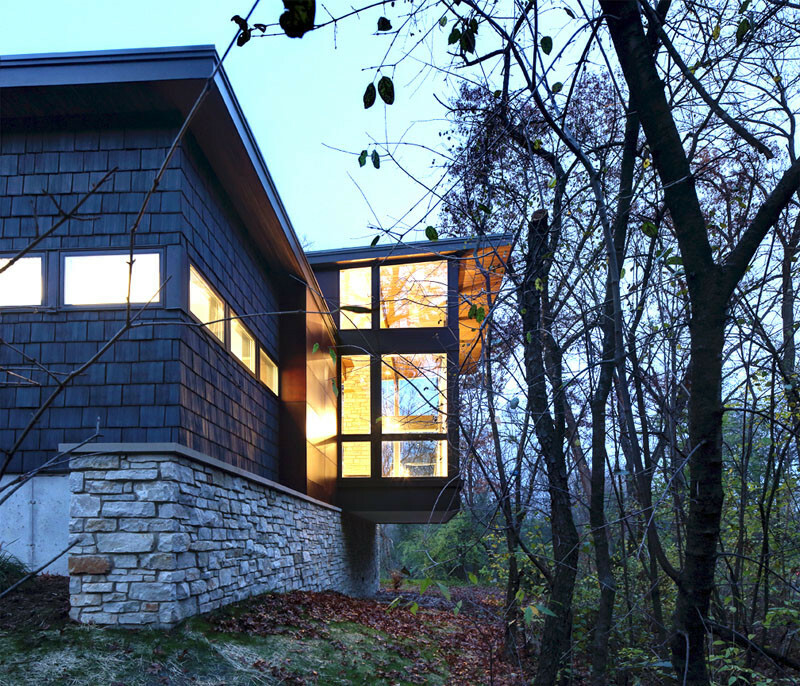 Bruns Architecture have sent us photos of a new home they’ve designed in Madison, Wisconsin. 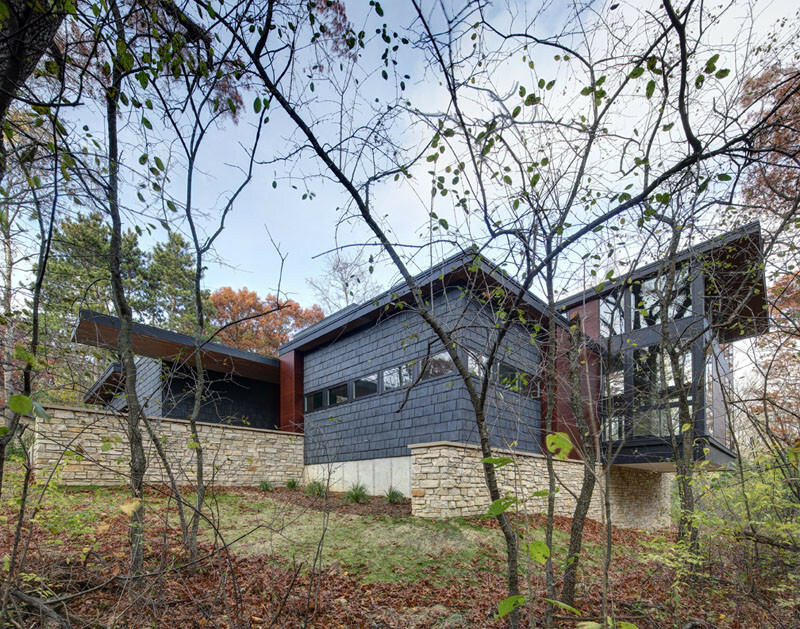 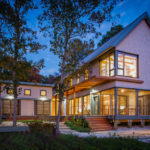 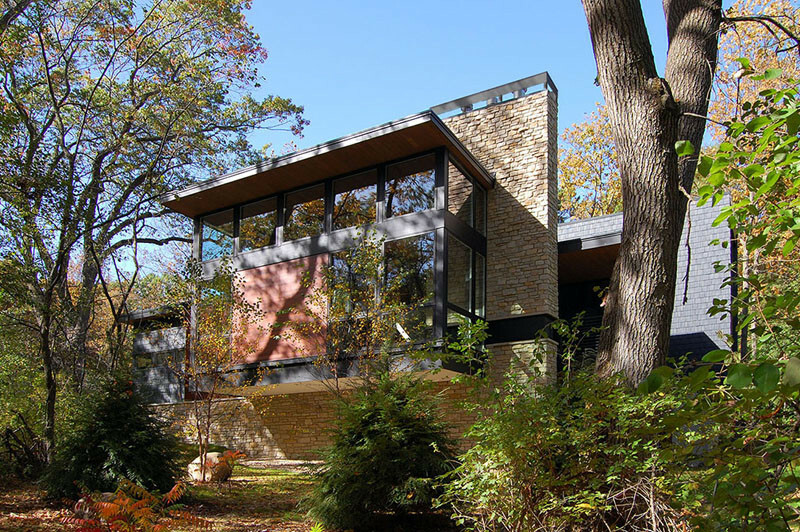 The home is located on a forested site, within the diverse landscape of the University of Wisconsin Arboretum neighborhood. 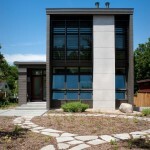 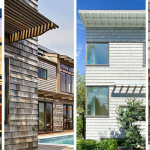 The home has a mixture of materials, like concrete, stonework, shingles, glass and wood. 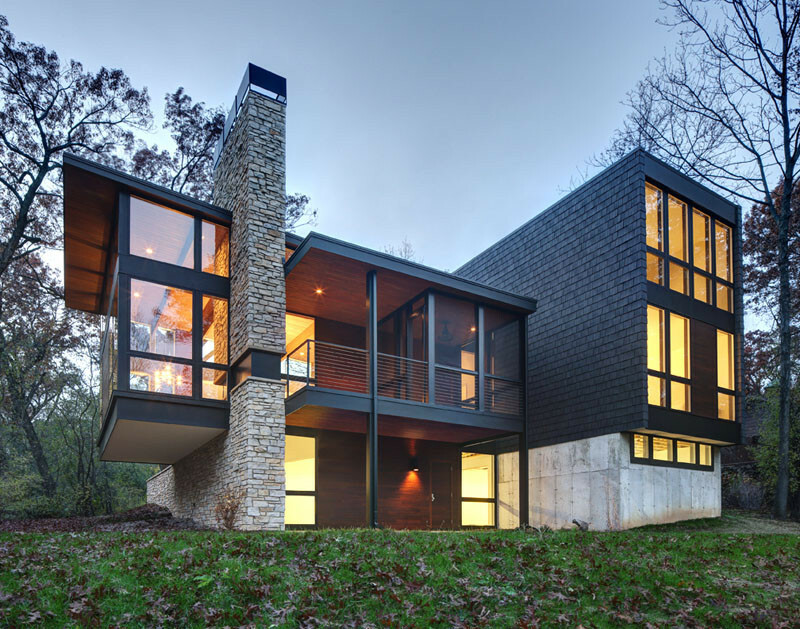 Large sections of windows have been used to allow for plenty of natural light to flood the interior. 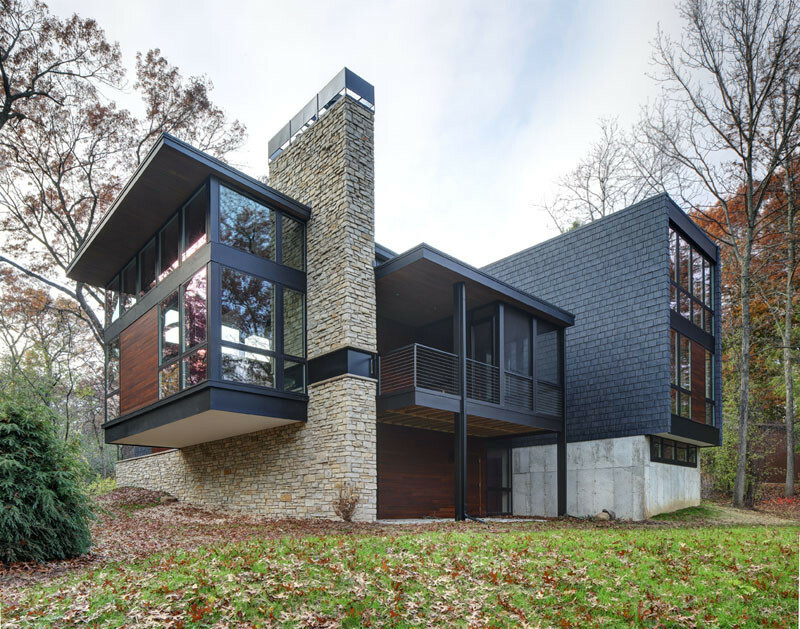 The stone work breaks up the darkness of the rest of the exterior. 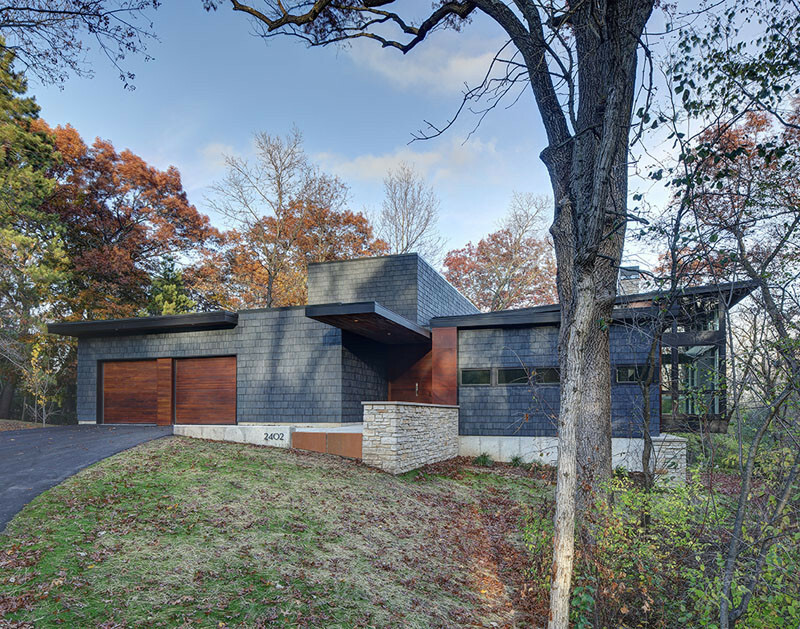 The stonework also wraps around portions of the home’s foundation. 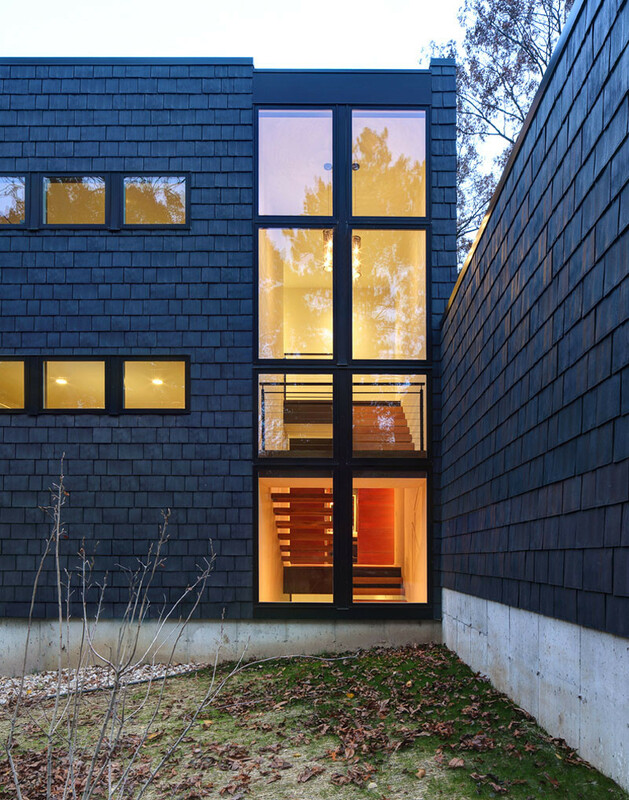 Here is a close-up look at the shingles. 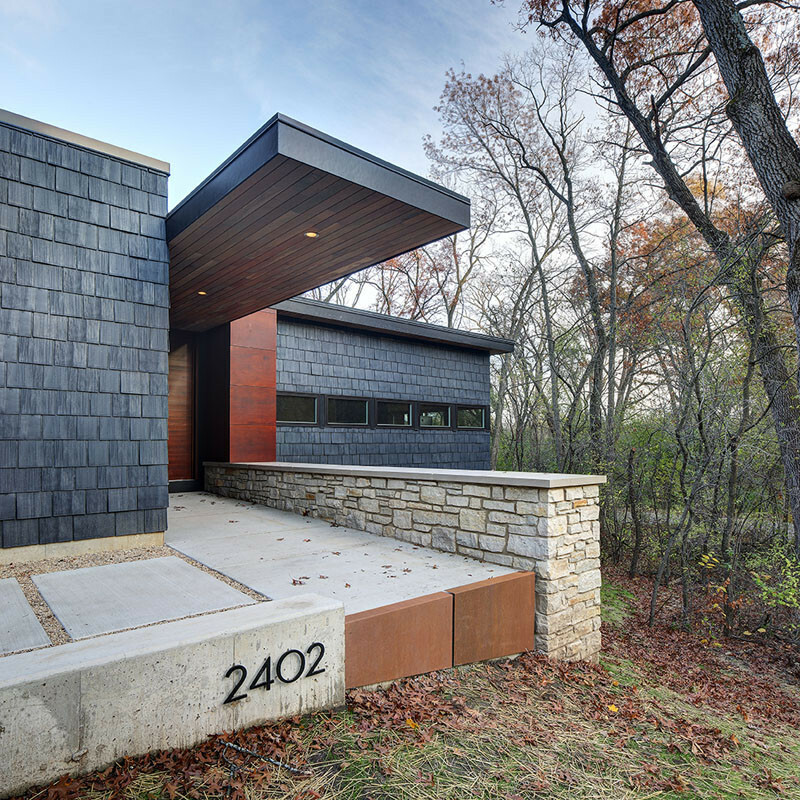 The home’s roof has a large overhanging section guiding you to the entrance.